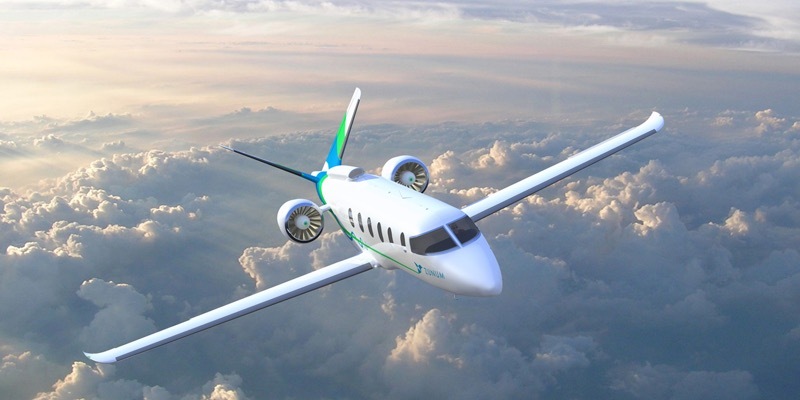 Could we see hybrid-electric flight in just five years? This week saw the announcement that hybrid-electric flight could be a reality in our skies by 2022 – just five years away! Zunum Aero (a start-up aviation company based in Kirkland, Washington) plans to launch the world’s first hybrid-electric passenger plane, following testing scheduled for 2019. In a ground-breaking move, the company hopes to reduce both air and noise pollution, as well as to cut costs for passengers and increase usage of the country’s regional airports. It even has the backing of both Boeing and JetBlue Airways. With a flight range of just over 700 miles, Zunum Aero’s hybrid-electric plane will carry 12 passengers in total. However, there are plans to have a full fleet with seats ranging from 10 to 50 by the end of the 2020s. The planes will fly from smaller, regional airports, many of which have lost out to their larger counterparts. Perfect for commuters, the hybrid-electric service could be more like a bus shuttle of the skies! What’s more, due to decreased operational costs (planes will carry 800lbs of jet fuel instead of the 12,500lbs found on non-electric equivalents), tickets will be cheaper too. How about New York to Boston for just $70? Or LA to San Francisco for $120? Surely passengers won’t be able to resist! Hybrid-electric flight is no mean feat, however. Although electric planes bring many benefits in theory, the actual engineering involved is incredibly complex. For years, engineers have sought the perfect battery which is light enough to carry, but powerful enough to fly. That’s why entirely electric flight at this stage is difficult. However, Zunum Aero’s plans incorporate a blend of rechargeable batteries and jet fuel to achieve the balance for now. Even better, their designs can evolve with technology, with a fuel tank which can be shrunk or removed as batteries improve over time! Zunum Aero’s new 12-seater will feature a 1MW hybrid-electric propulsion system, which uses a 500KW turbogenerator. This burns the jet fuel which charges a module battery system – conveniently incorporated into the aircraft’s wings. These batteries can then be recharged on landing, or simply swapped out and replaced if a quicker turnaround is needed. At present, the company expects the plane to have a cruise speed of 340mph. And although this is slower than its non-hybrid counterparts, the reduced queue times and security hold-ups in the regional airports will make up the difference in overall journey time. Whether Zunum Aero meets its targets by 2022 waits to be seen. However, this is certainly the closest we’ve ever got to hybrid-electric flight, so maybe what once seemed impossible could soon be a reality. In the meantime, why not get yourself in the sky by earning your wings at CTI Professional Flight Training? One thing’s for sure – we’ll have you flying long before 2022!